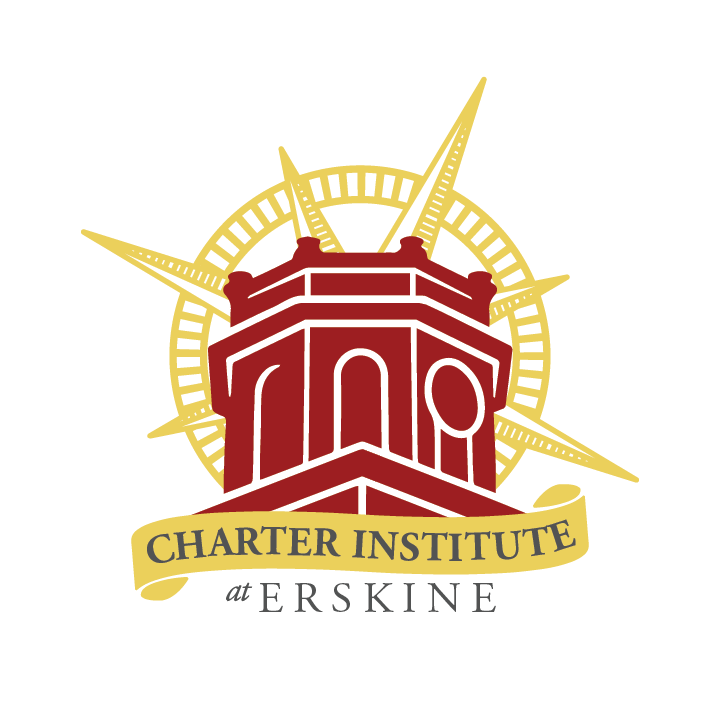 The Charter Institute at Erskine’s highly experienced team fully understands the unique needs of public charter schools. The team consists of educational leaders who actively remove barriers and assist partner schools in their pursuit of academic and operational excellence. Collectively, the Institute’s staff has one hundred and fifty-three years of administration experience in the field of education, including sixty-four years of experience specifically in charter schools. The Institute’s staff also has nearly sixty-seven years of direct experience in the classroom. Cameron Runyan is the Chief Executive Officer for the Charter Institute at Erskine. Prior to assuming the Chief Executive role, he served as the Interim Director and worked with Erskine College to establish the Charter Institute. Mr. Runyan served a four-year term (2012) on the Columbia, South Carolina City Council as an elected representative to 135,000 constituents. In that role, Cameron was chairman of the Budget Committee with responsibility for the development and oversight of the capital city’s $300,000,000 combined annual budgets; recruited and secured authorization of the largest urban redevelopment project east of the Mississippi River; led the development and implementation of an economic recruitment strategy that netted over $1 Billion in new economic investments; and moved 92% of the city’s homeless population into paths out of poverty through a collaborative effort with nearly 100 churches and homeless service providers. Prior to 2015, Cameron was also a licensed financial professional serving high-net-worth clients across the United States. In that capacity, he provided discretionary, tactical asset management and long-term financial planning strategies for individuals, families, churches, schools and other organizations. Cameron has lectured extensively and appeared in local, national and international media, including interviews in The New York Times, PBS: Religion and Ethics and Al Jazeera International, discussing issues ranging from effective responses to poverty to the role that proper childhood education can play in the future prosperity of the West. Cameron holds a Bachelor of Arts from Furman University (99) and a Masters from the University of South Carolina (01). Additionally, he earned advanced financial planning designations from the American College and the College for Financial Planning. Cameron and his wife, Jenni, have four young daughters and are members of First Presbyterian Church in Columbia, South Carolina. Vamshi Rudrapati (affectionately known as Mr. V) will be entering his eighth year in the Charter School World. 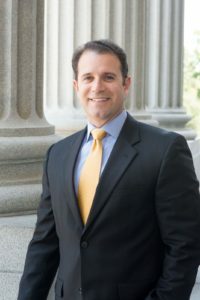 Before joining the Charter Institute at Erskine, he worked at South Carolina Public Charter School District for five years where he managed Federal Programs. Mr. V was also heavily involved in overall district operations from state programs, Charter Applications, finance, and technology needs of the district. 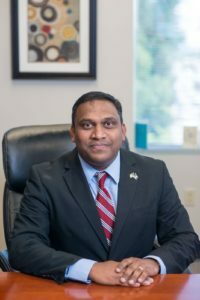 Mr. V also worked in a charter school where he managed curriculum, special education, PowerSchool, instructional technology and other leadership responsibilities. Before coming to the Charter School World, Mr. V served as a special education coordinator in the Lee County School District. 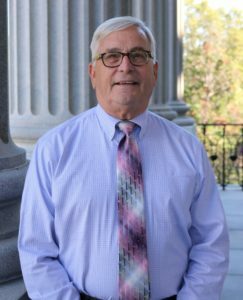 He is currently serving as a board member of the SC Association of Title I Administrators (SCATA). Mr. V’s relentless quest to improve the quality of education for all students has always motivated his work. He has championed the improvement of educational outcomes for low-income students, students with disabilities, students facing homelessness, and English learners throughout his personal and professional career. Mr. V holds Bachelors of Commerce and a Special Education degree. He also received his MBA while living in India. Mr. V loves to cook, which he says is both a gift and a curse. He is well known for his creative short movies and his fabulous sense of humor which is a huge addition to the team. Celina Patton is the Director Special Education Director for Charter Institute at Erskine. Celina began her career as a classroom teacher – where she was an acclaimed teacher of the year. She was later promoted to literacy coach and ultimately into the role of a Special Education Director. Prior to joining the Charter Institute, Mrs. Patton previously served as the Director of Special Services for High Point Academy – the largest brick and mortar charter school in the state of South Carolina. In this capacity, Celina developed and deployed an innovative and successful program model for students with disabilities. Additionally, Mrs. Patton designed and implemented a related model for High Point Academy Fort Worth, TX. Celina has also served in many other capacities including as a homebound and an RTI coordinator. 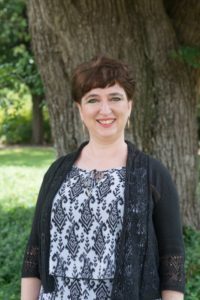 Celina holds a Bachelors of Arts in Education in Early Childhood from the University of South Carolina and a Masters of Education in Special Education from Converse College. Celina and her husband, Shane, have 5 children and live in Spartanburg, South Carolina. Ciera Bing serves schools as the School Federal Programs Finance Coordinator. Ciera previously worked in Richland School District Two, where she served as an accountant. Prior to Richland 2, Mrs. Bing also worked with South Carolina Public Charter School District for four years as the Assistant Director of Finance. Mrs. Bing implemented several policies and procedures such as travel, procurement, and fixed assets in her previous roles, and has worked with local, state, and federal grants that include Title I, McKinney Vento, 21st Century, SSIP, EEDA, and the many more. 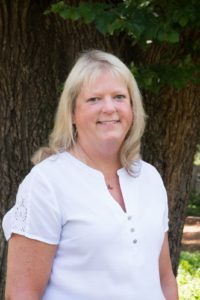 Mrs. Bing holds a Bachelor’s in Accounting from the University of South Carolina – Aiken, a Masters in Business Administration, and a Masters in Accounting from Gardner-Webb University. 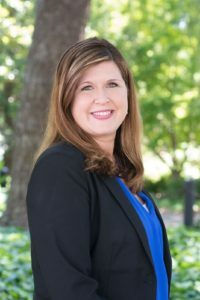 She is also a member of the South Carolina Association of School Business Officials, in which she became a Certified School Business Official. Derek Phillips serves as School Communications Specialist for the Charter Institute at Erskine. He comes to the Institute after working as a Public Information Specialist with Lexington-Richland School District Five. Derek began his career working in local television as a Sports Anchor and Reporter at WACH Fox in Columbia. 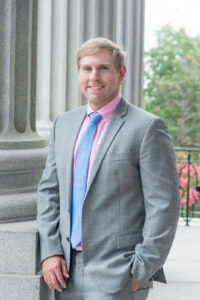 Through his five years in the media, Derek covered some of the biggest stories in the southeast including South Carolina women’s basketball team in the 2015 NCAA Tournament Final Four, Daytona 500, PGA Championship in addition to multiple South Carolina and Clemson football bowl games. He was also recognized for his outstanding reporting winning the United States Tennis Association’s Media Award for South Carolina in 2015. In 2016, Derek joined School District Five where he spent two years creating media releases, pitching story ideas to local media and filming and editing feature videos for the district. He also handled the district’s Freedom of Information Act requests and covered board meetings. To further spread news throughout the district, Derek and the communications office created a magazine featuring the district’s top stories that were delivered to local retirement communities. In addition to the magazines, each week he created an e-newsletter that was sent to local media outlets, board members and all District Five schools. Derek was also awarded with School District Five Superintendent Dr. Stephen Hefner’s coveted gold medallion for extraordinary service to the district. Derek has a Bachelor’s degree in Broadcast Journalism from the University of South Carolina. When not working, Derek enjoys spending time with his wife, Kelly and their son, Andrew. Haley Perez serves as the Assistant Director of Federal Programs for the Charter Institute at Erskine. Haley is a certified South Carolina educator and comes to the Institute after working as a classroom teacher in Richland County School District One. Throughout her teaching career, Haley served as grade-level chairperson, curriculum lead teacher, Read to Succeed tutor, and a school-level Title I committee member. Previously, Haley worked in Federal Programs at the South Carolina Public Charter School District assisting with audits and compliance. She has also served as an English-as-a-Foreign Language teacher in Europe. 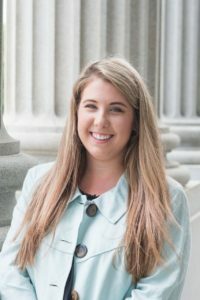 Haley earned a Bachelor’s degree in Early Childhood Education from the University of South Carolina and is a member of the Center for Educator Recruitment, Retention, and Advancement (CERRA) Teacher Fellowship program. She holds a Registered Behavior Technician certification, which she completed at the Autism Academy of South Carolina. As the Assistant Director of Federal Programs, Haley strives to provide a high-quality system of support to schools in order to promote educational excellence through the procurement, monitoring, and utilization of federal funds. Out of the office, Haley enjoys volunteering and traveling. She resides in Columbia, South Carolina. 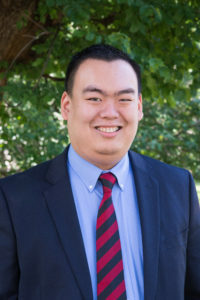 John Li serves as the Assistant Director of Finance for the Charter Institute at Erskine. Mr. Li previously worked at East Point Academy charter school, where he served as the school’s Financial Coordinator. Mr. Li also served as the Board Treasurer for East Link Academy and was a member on ELA’s Planning Committee. As East Point’s Financial Coordinator, Mr. Li was responsible for developing, implementing and overseeing East Point’s annual budget and financial controls. His work in the Finance Office contributed to consistently clean annual audits of the school. Beside his role as the Financial Coordinator, Mr. Li also played an important role in developing the school’s Extended Care and Summer Programs. Mr. Li was awarded with the Next Generation of Afterschool Leaders Award by the National Afterschool Association in 2016. Mr. Li serves as an archery instructor with the South Carolina Department of Natural Resources where he to introduces and teaches archery to South Carolina youth. He is a certified instructor with the National Archery in the Schools Program (NASP) and with the USA Archery program. Mr. Li resides in West Columbia, South Carolina. Laura Merrick serves as the Special Education Coordinator for the Charter Institute at Erskine. Previously, Mrs. Merrick served as a School Psychologist for over 10 years in Beaufort County School District before shifting into the role of Special Education Coordinator at Bridges Preparatory School. She has since worked with a number of charter schools as a School Psychologist and Consultant assisting with special education compliance, RTI, behavior intervention, and parenting programs. 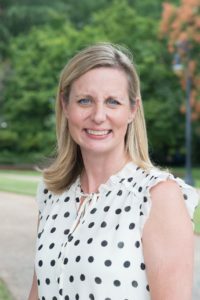 Laura holds a Bachelors in Secondary Education from Clemson University, a Masters in Psychology, a Masters in School Administration, and an Educational Specialist in School Psychology from The Citadel. Additionally, she is a Nationally Certified School Psychologist and Licensed Psycho-Educational Specialist. Laura lives in Beaufort, SC with her husband and three daughters. Lisa Smith is the Coordinator of Assessment and Gifted Education with the Charter Institute at Erskine. Ms. Smith has been a certified South Carolina educator for the past ten years. During her teaching career, Lisa has taught Special Education, Gifted & Talented, Social Studies and English as a Second Language. Prior to joining the Charter Institute, Ms. Smith worked at East Point Academy, a public charter school, where she served as Federal Programs Coordinator, Accountability and State Testing Coordinator, Special Education Coordinator and Gifted & Talented Coordinator. As the Coordinator of Assessment and Gifted Education at the Charter Institute, Ms. Smith will be responsible for State testing and the Gifted & Talented program. Ms. Smith holds a Bachelor of Arts in Special Education and a Bachelor of Arts in English and Communication Arts both from Columbia College. She also earned a Master’s in Education from Southern Wesleyan University and an Associate of Applied Science in Culinary Arts from Johnson & Wales University. Ms. Smith is a proud mom to her son, Noah. Lisa lives in Columbia, South Carolina. Mary Greene serves as the Director of State and Academic Programs for the Charter Institute at Erskine. Ms. Thomasson brings over 25 years of experience as a teacher, literacy coach, curriculum coordinator, and central office administrator to the Institute. Prior to arriving at the Institute, Mrs. Thomasson began her career as a Reading Recovery teacher in 1991. She later became a Title I Master Teacher for the SC Department of Education in 1999. From 2000 to 2004 she served as an SCRI and SC READS Literacy Coach in McCormick County Schools and became a Curriculum Specialist in 2004. Mrs. Thomasson began her administrative career in 2009 when she became the Director of Special Education and Early Childhood/Elementary Instruction for McCormick County Schools. She later served as Director of Federal Programs from 2015 to 2018. During this time, she wrote and received multiple grants totaling over $2,500,000. She coordinated all federal programs, supervised Special Services including special education, school psychology, related services, mental health counseling, Section 504/ADA, medical homebound, nursing, and guidance services. As the Director of State and Academic Programs, Mrs. Thomasson serves, supports and strengthens the schools that are chartered by the Institute, so that they can provide a high-quality education to their students. Mrs. Thomasson earned a Bachelor of Science degree in Business Administration and a Bachelor of Science in Early Childhood and Elementary Education from Lander University. 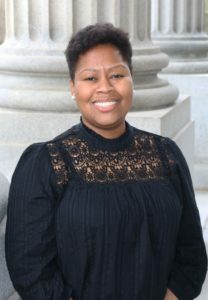 She holds a Master of Science degree in Reading from the University of South Carolina and is enrolled in the Ph D. program for Educational Leadership at Clemson University. Mrs. Thomasson and her husband Mike have two college-aged children and live in Abbeville, South Carolina. Paula Gray is the Director of Human Resources for the Charter Institute at Erskine. Paula brings the most administrative experience in the state (35 years) for authorizing charter schools with her to the Charter Institute. Prior to joining the Charter Institute, Paula served as the Director of Human Resources for the SC Public Charter School District. Mrs. Gray also brings experience with federal programs, teacher certification, board meetings, teacher, student, and volunteer of the year programs, and Interim Superintendency. 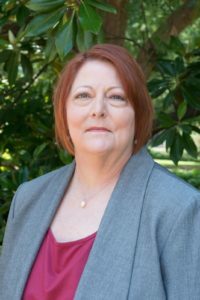 Paula has also worked with the South Carolina Department of Education in various offices, including Accreditation, Human Resources, Finance and Legislation, Liaison to the State Board of Education. Additionally, she served as Assistant to the Regional Manager of SC Vocational Rehabilitation’s Disability Determination Division and with the SC Associatio of School Administrators as a Membership Liaison. Paula and her husband, Marvin, live in Hopkins, South Carolina. Rich Melzer is Director of Accountability at the Charter Institute at Erskine. He served as a teacher and administrator in Prince Georges County, Maryland and administrator in both Montgomery County, Maryland, and Rock Hill Schools, South Carolina. As an elementary school principal, his first school, Kenilworth Elementary became the highest performing school in Prince Georges County. Kenilworth was, named a Top 50 School in the Maryland, Virginia and the D.C Metropolitan Region. For the school’s success in improving academic achievement Mr. Melzer was honored as a Milken National Educator. While in Montgomery County, Chevy Chase Elementary was recognized as a top five high achievement school. Upon accepting a principalship at Ebinport Elementary School, Mr. Melzer moved to Rock Hill Schools. After a year at Ebinport, he transitioned to the District Office as Executive Director of Elementary Education. Developing a standards-based report card, creating T3 (a behavior intervention program), training UBD, refining district-wide curriculum maps, supporting principals and providing Assistant Principal training were among his accomplishments. During his last 2 years in Rock Hill Schools, Mr. Melzer served as Executive Director of School Choice and Professional Learning. He assisted in developing the District’s school choice program and established school choice policies and procedures. He also took pride in training, monitoring, and supporting Professional Learning Communities throughout Rock Hill Schools. William James serves as the Director of PowerSchool and Technology for the Charter Institute at Erskine. Mr. James is a combat veteran of the United States Army (Operation Desert Storm). He served as a computer technician in Florence School District One before his first semester at Coker, which started his career in Educational Technology. 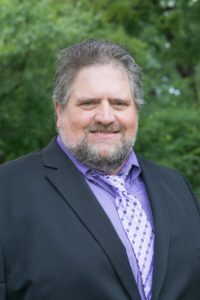 In the last twenty-five years, he has worked in many levels of education, from functioning as a teacher’s aide for one of his internships while attending college to working in the twelfth largest school district in South Carolina as Director of Technology Services. He has also worked with many school districts and the South Carolina Department of Education. Mr. James has worked with all forms of technology, specializing in data, and has worked extensively with Federal and State Reporting data for the past ten years. He has also been a part of statewide projects and a member of corporate advisory boards for worldwide organizations.